Fur: Yellowish or grayish brown; hair-dark gray base, broad yellowish-brown subterminal band, dark brown tip. Tail membrane: Basal one-third sparsely furred; darker toward tip. Wing membrane: Blackish, usually contrasting with reddish forearm. Ears: Tannish; hairless; rounded at tips. Tragus: Less than one-half ear length; bluntly rounded; curved forward. Total length: 81-89 mm. Forearm: 31-35 mm. Wingspan: 208-258 mm. Total weight: 4-8 g.
Dental formula: 34 total; I 2/3, C 1/1, P 2/2, M 3/3. 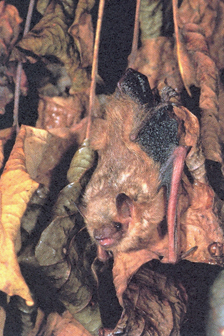 All species of Myotis are brown in color, but do not have reddish forearms that distinctly contrast with dark wing membrane like the Pipistrelle. Overall: Eastern United States; west to central Kansas and south to Yucatan, Mexico. Iowa: Probably statewide, but not reported from the northwestern corner. Most common in eastern counties, local elsewhere; present all year. Perhaps less is known about the eastern pipistrelle in Iowa than any other bat species. 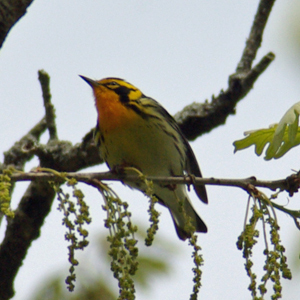 Available evidence suggests that both males and females are common in eastern Iowa throughout the year where there are both forested limestone outcroppings as well as forests and wooded waterways. Pipistrelles seasonally migrate to and from central and western counties, utilizing small caves enroute. All winter records for this species are from eastern Iowa, where it is a common hibernator in humid sections of caves and mines, usually hanging singly but near the big and little brown bats and the northern myotis. Copulation occurs in fall and winter at or near their hibernacula. In summer, adults of both sexes inhabit water courses bordered by deciduous woods and roost in crevices, caves, and buildings. Females establish nursery colonies in a variety of these sites, and produce one or two young. 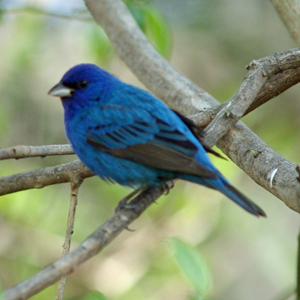 Males and nonreproductive females usually roost away from nurseries. In Iowa, young are born by late June and begin flying by mid-July. Eastern pipistrelles emerge early in the evening, foraging for a variety of insects including leafhoppers, beetles, flies, moths and true bugs. As with most bats of Iowa, the eastern pipistrelle requires forested habitat, especially along streams. Since it also utilizes caves and mines for both summer roosting and winter hibernation, both types of habitats need protection.